The AFC West division has been one of the worst divisions in the NFL over the past half decade or so with the San Diego Chargers usually coming out as the division champions will little or no competition coming from the three other teams, but last season things began to change with the Oakland Raiders and the Kansas City Chiefs coming to life. As of result of the Chiefs resurgence last season, Matt Cassel and company were able to become the best running team in the league and win the AFC West division title. Unfortunately, the Chiefs were dominated by the Baltimore Ravens in the first round of the playoffs, but the successful regular season was a big step in the right direction. The Oakland Raiders on the other hand went on to go undefeated in divisional play with a perfect 6-0 record against the San Diego Chargers, Kansas City Chiefs and the Denver Broncos. The success of the season was bittersweet though as the Raiders failed to make the playoffs and became the first team in NFL history to go undefeated in their division and not make it into the postseason. This year the Oakland Raiders will look to get right back to where the left off against their divisional opponents as they will head-to-head against the Denver Broncos in the Mile High City on Monday Night Football. This will be the one and only time that the Raiders will be on Monday Night Football, so new head coach Hue Jackson and company will try to make an impression and prove that last season was no fluke, but a sign of things to come. 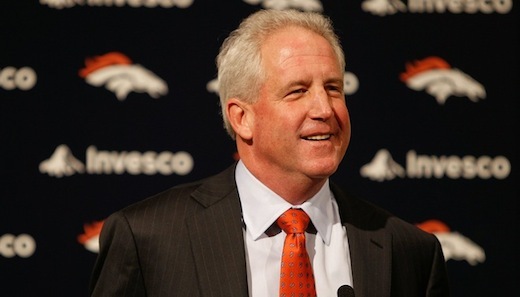 Even though the Denver Broncos were one of the worst teams in the league last season with a pitiful defense and an offense that couldn’t play consistently well throughout the season, this year things might be changing as they have brought in some new faces and a new attitude with new head coach John Fox. Whether or not the new changes will have the desired effect in the Mile High City remains to be seen, but this team does seem to be motivated with a new sense of purpose heading into this Monday Night Football showdown with this arch rivals. This biggest difference for the Broncos this season will be on defense with a healthy Elvis Dumervil and rookie Von Miller leading the way. These two potential Pro Bowlers could turn out to be a lethal combination and just what this team needs to turn the franchise around. As of right now, the Denver Broncos are favored to beat their division rivals on Monday Night Football with a -3 point spread. This spread could very well be right on the money, but after the way the Raiders destroyed the Broncos in Denver last year I would go with Oakland to pull off the slight upset. Take the Raiders at +3.